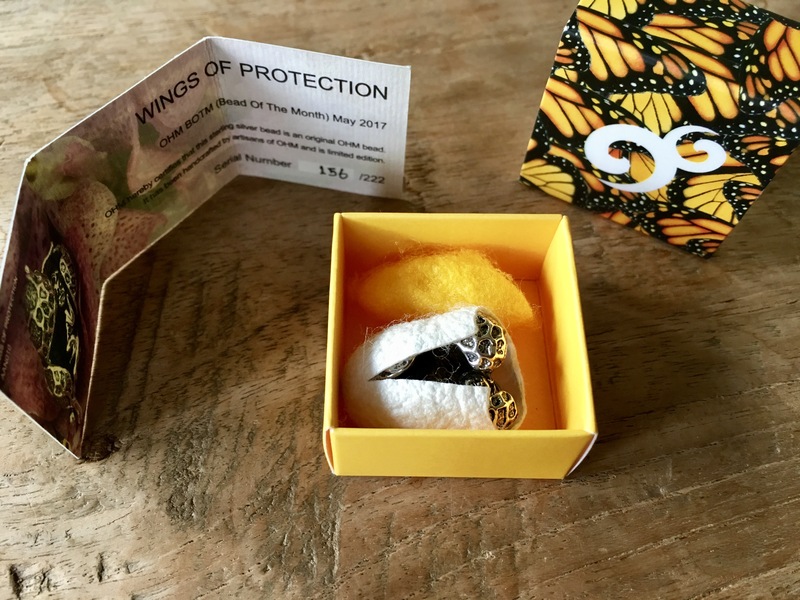 The Ohm beads Bead of the Month of May is the beautiful Wings of Protection. 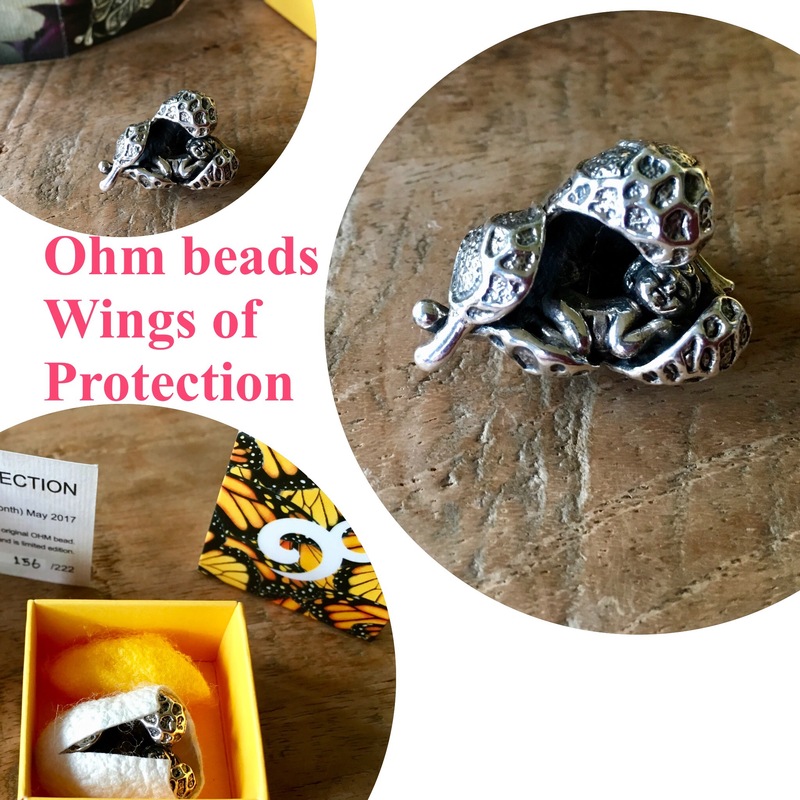 Beeing one of the most expensive silver beads Ohm has produced up to this date I had to think long and hard about buying it. But when I saw the pictures I was sold and an idea on how to use it for my life’s story came to me. Only 222 are made, making this bead one of the more rare beads Ohm has made. 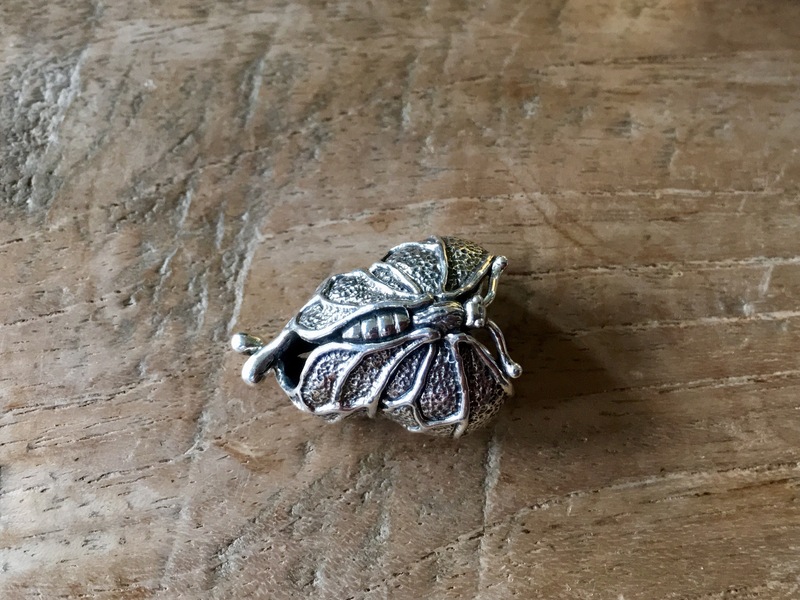 The bead is beautifully made and is a butterfly, wrapping it’s wings around a baby. 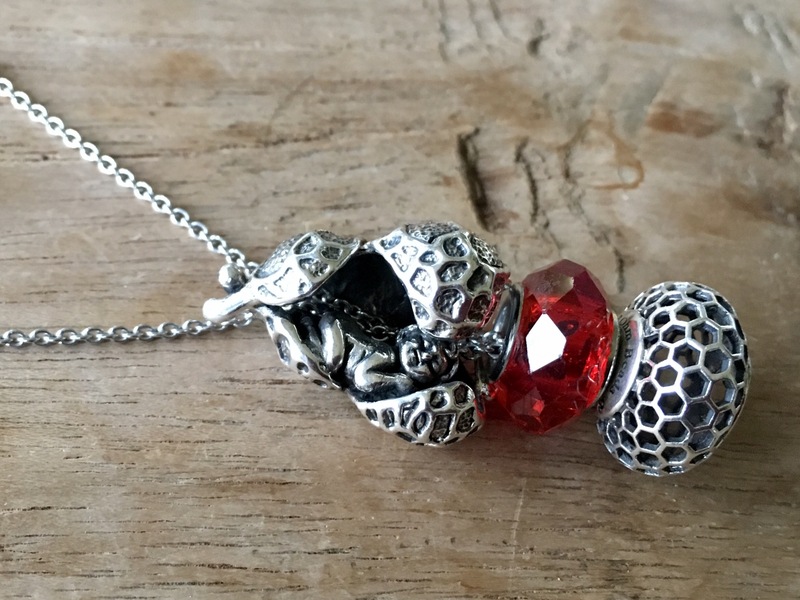 The bead looks faboulous on the ball necklace. I love this bead on my plain bangle. I tried this first with Love Hurts. 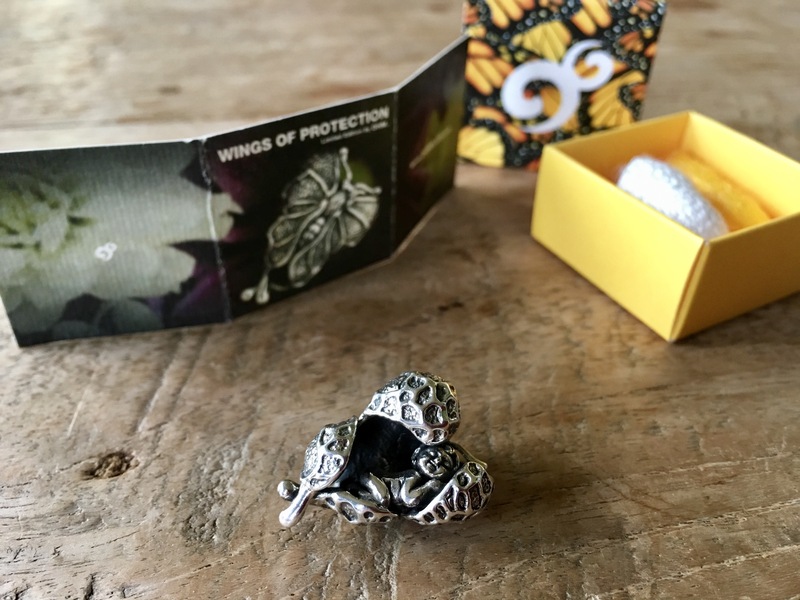 And Hive Mind, bead of the month August 2016: a conglomerate of souls coming together for a combined purpose of creation. 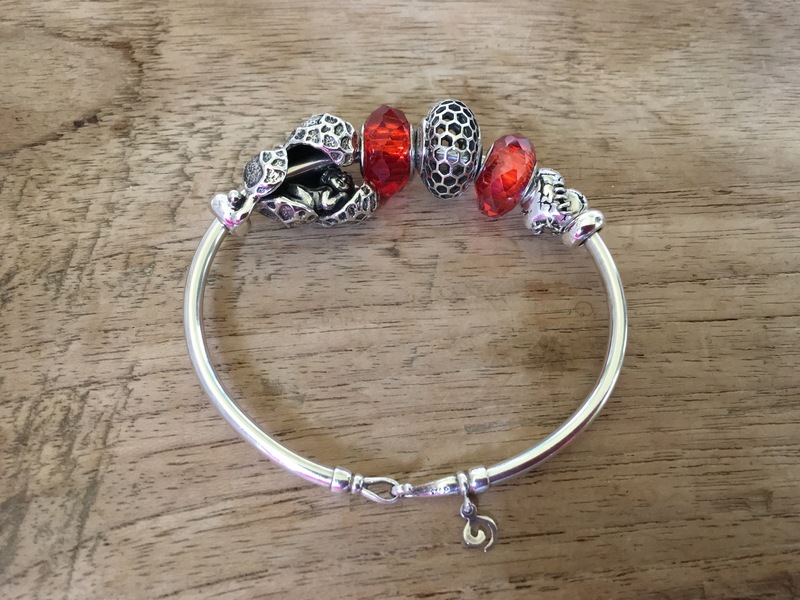 But for the story I had in mind I added Love Cage, bead of the Month February 2016: if you love somebody, set them free. 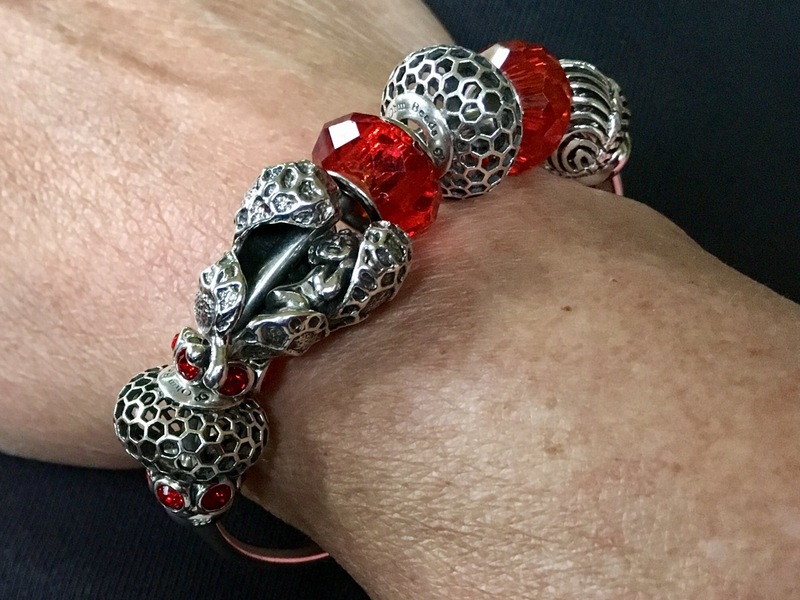 On this bangle I combined them with two red glass facet beads and two red spacers, all Ohm beads. 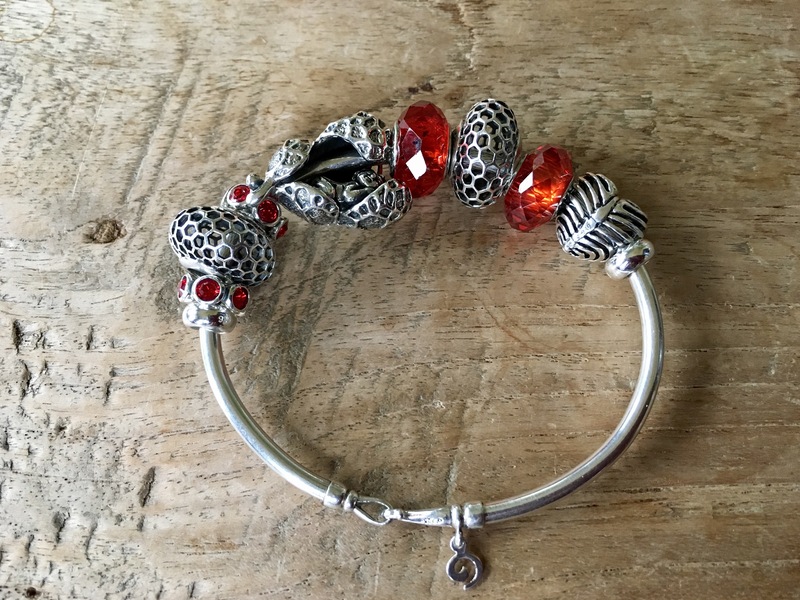 It has been so hard to let my son go, but I am with him in spirit with this bangle.